I hope you will have the opportunity to shoot photos from a helicopter once in your life. It is a fun and amazing experience, especially for those of us who enjoy flying. 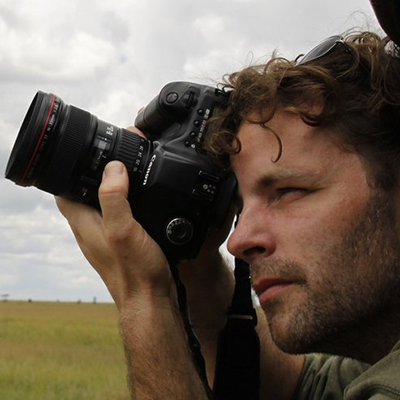 While you may have noticed a video by the high-profile photographer Chase Jarvis showing how he got ready for a shoot hanging from the side of a helicopter, chances are your own experience will not be anything like that. It might be a scenic flight over your local city or maybe while on vacation. It might even be for an assignment. 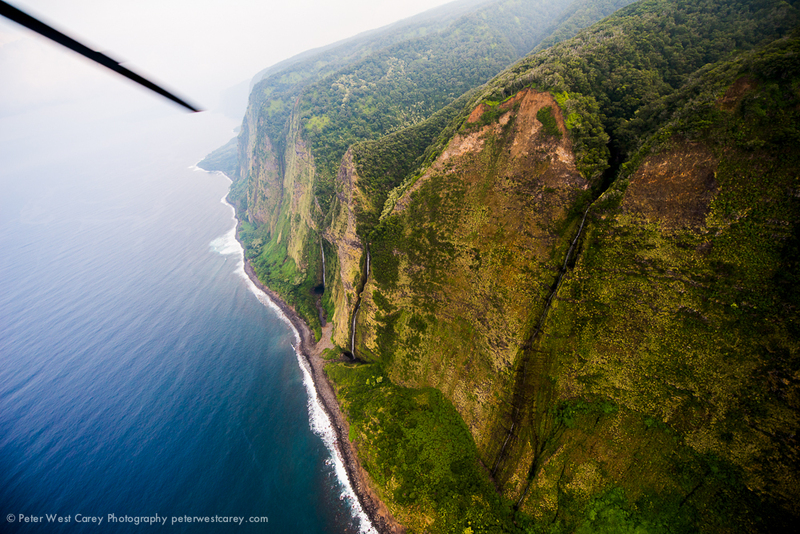 No matter which circumstances end with you hovering above the landscape, I want to impart some advice from my experiences taking photos from helicopters to help you make the most of your limited time. If at all possible, fly with the doors off. 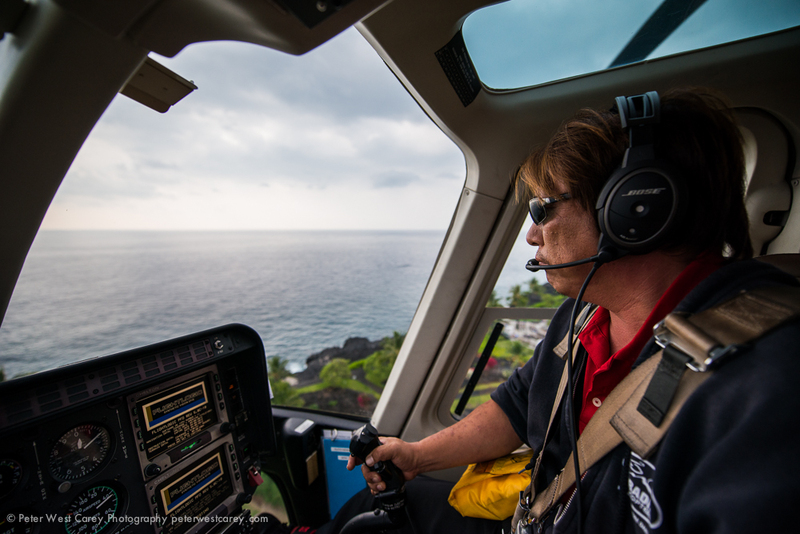 Depending on your situation, you may be able to request this (assignment) or not (vacation helicopter ride). Always ask. But also realize that it can get cold with the doors off, so be prepared for the temperatures. Shooting through any glass affects the resulting image and that is why it is ideal to have no barrier between you and your subject. 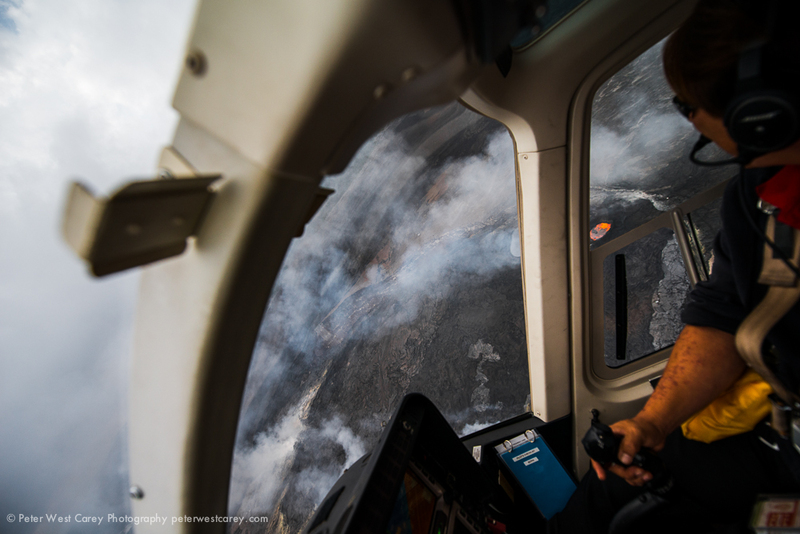 Liability reasons often prevent, or dissuade, certain operators from removing doors while others tout it as a perk, such as volcano tours in Hawaii who boast that you can ‘feel the heat’ (in a safe way). You will likely be buckled in with a four or five point harness. This means a strap over each shoulder and then a lap belt as in a car. It will limit your movement more than your car seatbelt will, but with some wiggling, you will find you can still turn sideways out the door to get your shot. Also, if you are lucky enough to get a ride with the doors off, realize it is harder to change lenses. Not only that, you will need to secure your equipment and there may be controls in the way if you are sitting up front. To help with all of this, simplify and be safe. I have used some clips normally used from rock climbing to help secure my camera around my belt or the safety harness in the helicopter. Some type of tether is good piece of mind as you will be in a new environment and one slip will mean a lost camera. A tether for your bag is also a good idea, but if you’re simplifying, you will leave the bag behind. A photographer’s vest, with pockets for filters and the like, can be very handy to keep things secure and close. Be aware of the helicopter rotor blades and skids (the ‘feet’ the helicopter stands on while on the ground) not only for your safety, but also for framing your shot. 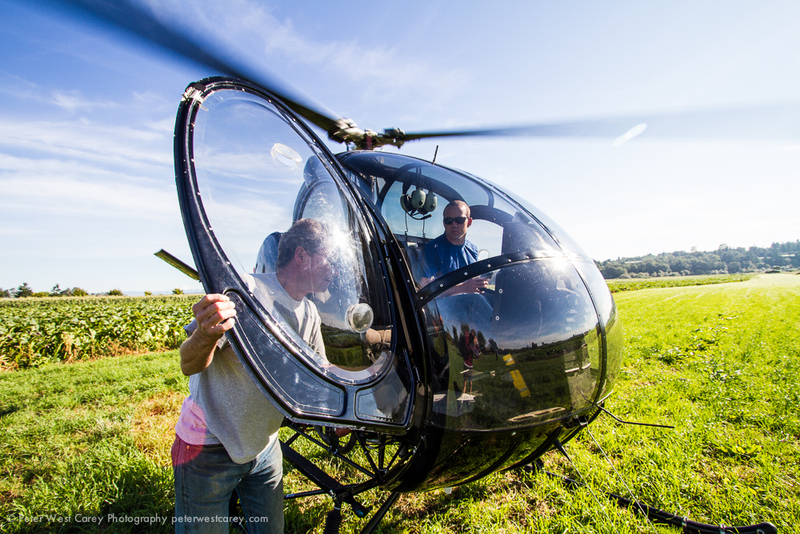 Before the helicopter takes off, judge your widest focal length before the blades or skids start to show. Once airborne, check again with some test shots. The thing with the blades is, they can be finicky. If you are taking a shot and need the vertical elements in it, and know the blades will interfere, you can still shoot a high-speed series of images and it is likely that one will not have a blade in it. It’s a timing issue and while the blades are turning thousands of times a minute, it can be done. From my own experience, I have found one in eight shots was clean of any blades. Knowing your limits will save you time and frustration in post-processing later. Here are two examples of ruining a shot by not being careful of the blades or skids and then putting in the effort to keep them out of the shot. Changing lenses without introducing dust inside the camera while the wind whirls around is impossible. Not only that, you stand a decent chance of dropping gear and never seeing it again. For these two reasons, it is a good idea to bring two cameras with two different lenses; a telephoto zoom and a wide angle zoom. I suggest a zoom for the wide angle because you won’t know in advance the maximum angle you can achieve before rotor blades and skids begin to appear. 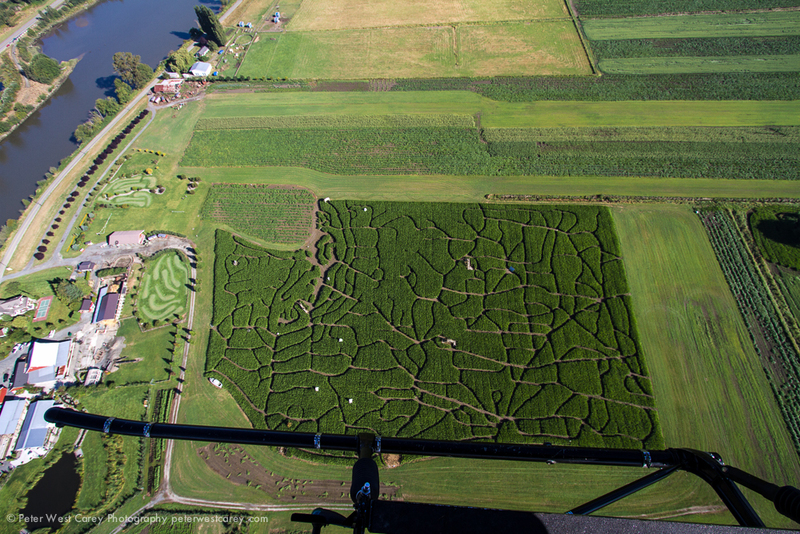 Having a couple of lenses with varying focal lengths is handy when shooting from a helicopter. You will not always be able to get closer to a subject physically, but a telephoto zoom can. Let me show two examples of what I mean. 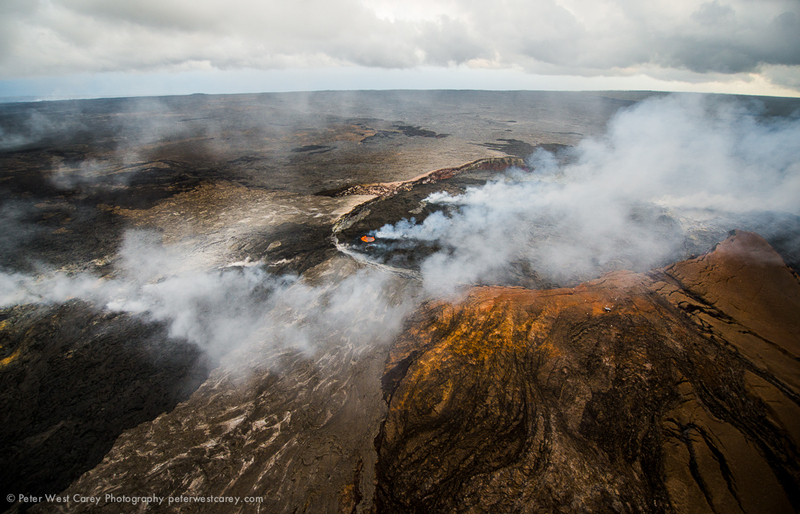 The shots below were both taken above Pu'u O'o in Hawaii Volcanoes National Park on Hawaii, The Big Island while touring with Paradise Helicopters. This was a press trip and we were up there to see what we could see, without a specific assignment. When we got close and passed by the lava pool, we had to keep moving and bank to stay away form the noxious gases which lead us to take about three passes on each side. On one pass I opted for a wide angle shot at 14mm with a Nikon D800E. 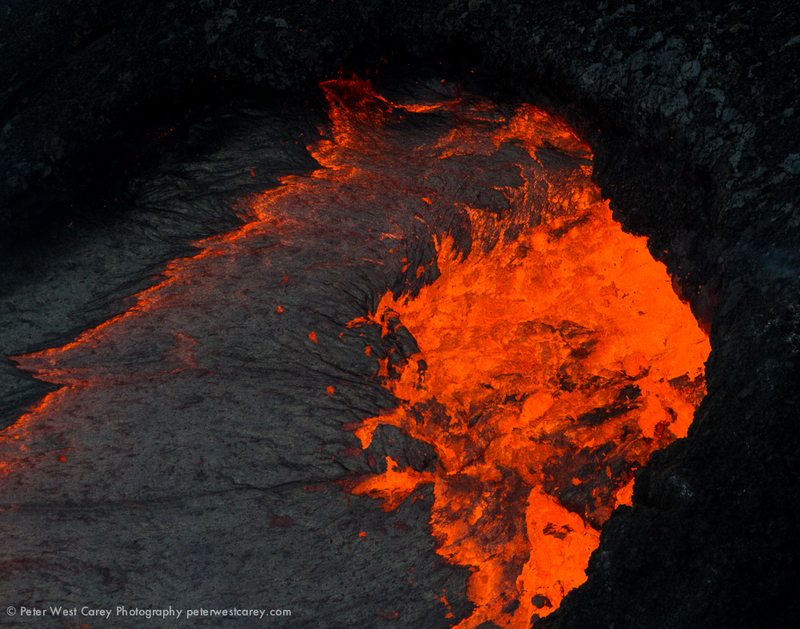 And on another pass I zoomed in with a 300mm lens on a Canon 7D for some details of the lava splashing out of the pool. We all know communication is important and that goes doubly when photographing from a helicopter. Chances are you will have a headset during your flight which allows for muting the sound of the engine and rotor and also for talking with others onboard, including the pilot. Some units are voice activated, some require pressing a switch which can cause frustration when you realize you’re telling the pilot to hold steady and he or she can’t hear you. Before take-off, before the blades start churning, talk with the pilot about what you want to accomplish on the flight. Let them know what’s important to you and where you might want to spend some time loitering. 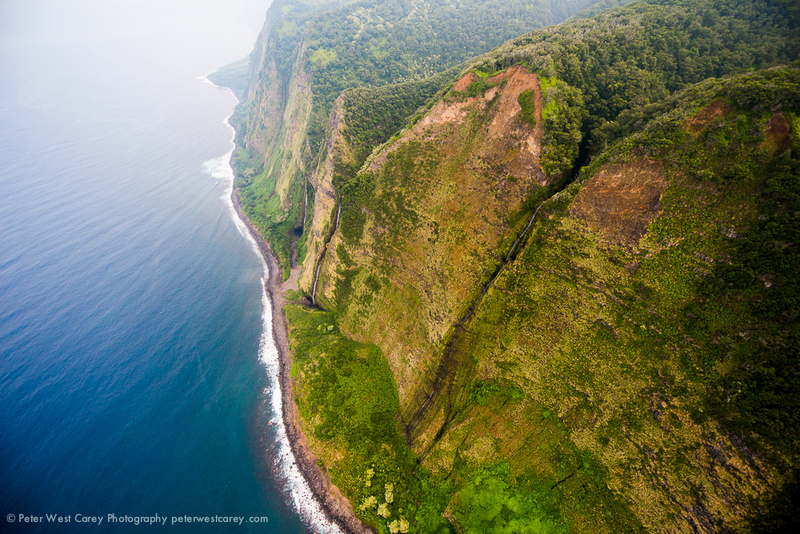 One of my flights was around the island of Hawaii and the pilot knew to place me in the front seat so I would have an opening window to shoot from. 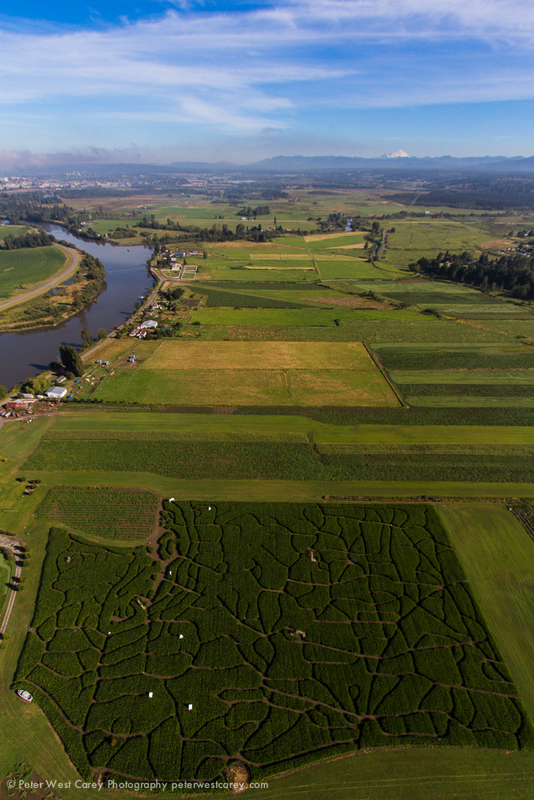 In another case I was on assignment to shoot a corn maze and had to constantly tell the pilot where to go to get different shots I had in mind. In both instances, my job was made easier by communicating what I wanted to shoot. 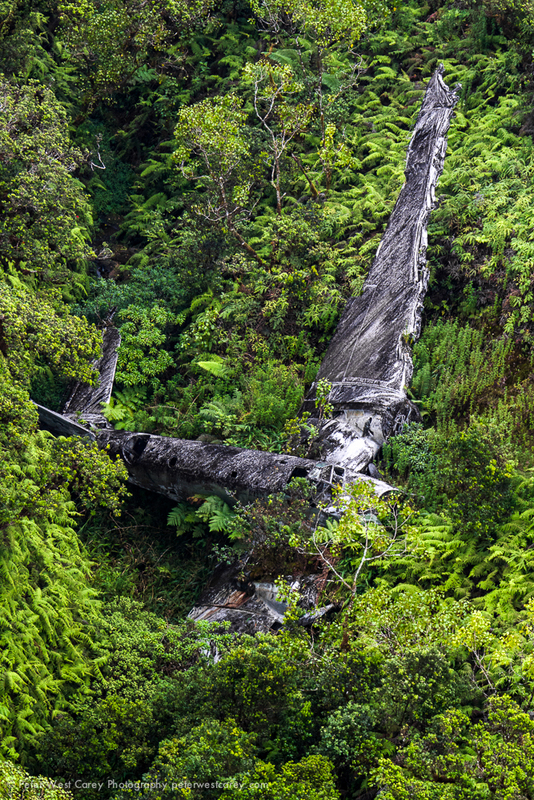 If you are on a sightseeing trip with others, your options may be limited, but it is still important to let the pilot know what is important for you to clearly photograph, which is different than just ‘seeing’ it. 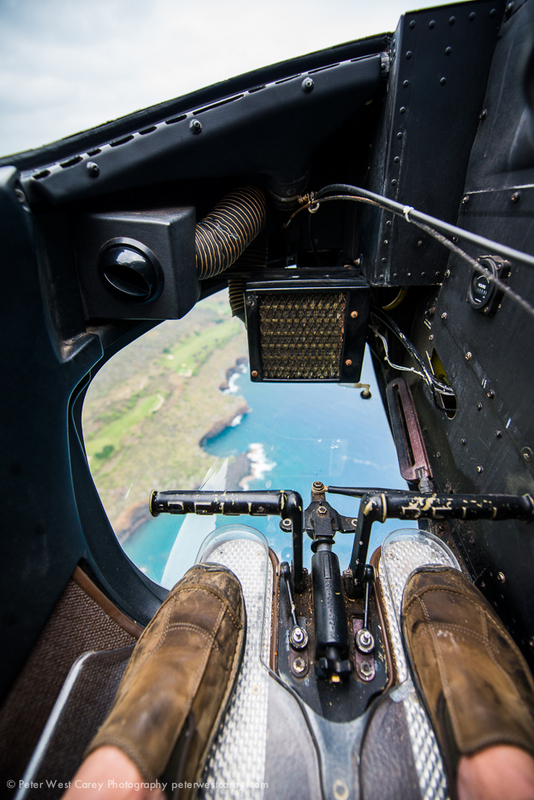 While it is hip and cool to imagine yourself hanging from the side of a helicopter to get that once in a lifetime shot, chances are your experience won't be as spell binding. The guys that get those assignments (and pay the insurance premiums) aren't reading this right now unless they are thinking of ways to correct me. And it will be useful, but the moment a long lens gets too far outside, the rush of air will cause a lot of vibration. Try to keep the end of lenses out of the airstream for sharper images. To give a sense of where you are, include some of the helicopter at times. Maybe not a blade, because they look out of place without context. Here I am thinking part of the interior with the outside showing. Getting back to the volcano pictures, I wanted to show how we were banking over the lava rather than static shots of just the lava. The same can be done with the land zipping by below if you happen to get a front row seat. Most people haven't seen the inside of a helicopter and only have a Hollywood version in their mind. Show the reality of how you got those amazing shots to help with your overall storytelling. Lastly, helicopters vibrate. Some a little. Some a lot. And they can be bouncy or smooth. My suggestion is to increase your ISO toward the high end of what you find is tolerable. Along with that change, as most of your subjects will be far away from the camera, choosing a wider aperture in Aperture Priority mode will help speed up your shutter speed. All of this is in effort to reduce camera shake. Certainly bring your image stabilizing lenses or camera bodies, that will help. Most of all, don't forget to lower your camera from your eye from time to time and simply enjoy the fact that you're flying! 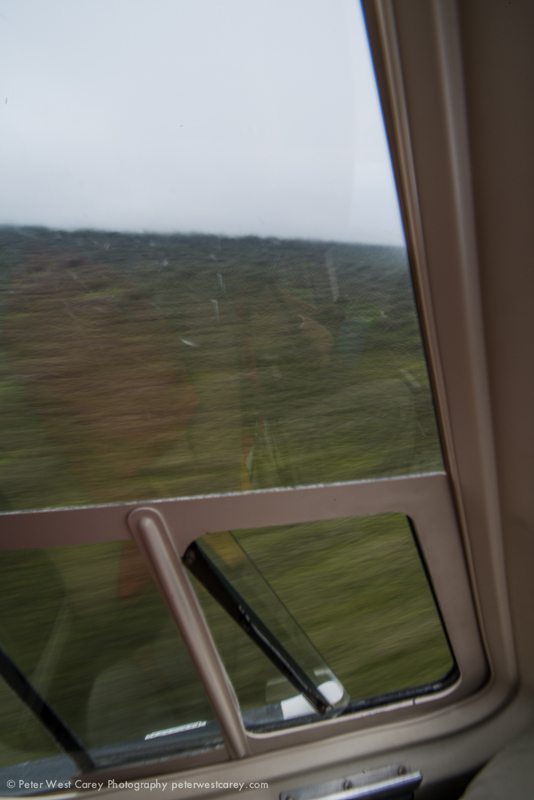 Shooting from a helicopter can be a great experience and I hope you make the most of your time in the sky.